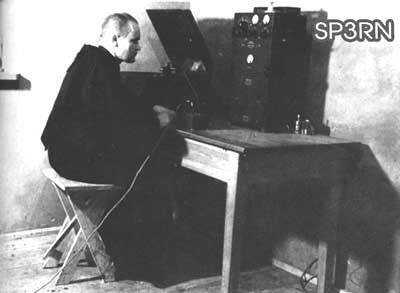 Father Maximillian Kolbe, SP3RN is recognized by the Catholic church as the patron saint of amateur radio. After the Polish occupation and in the early years of World War II he used his station to report on the atrocities being committed by the Nazis on the Poles. In the end he volunteered to be sent to a concentration camp instead of another man. 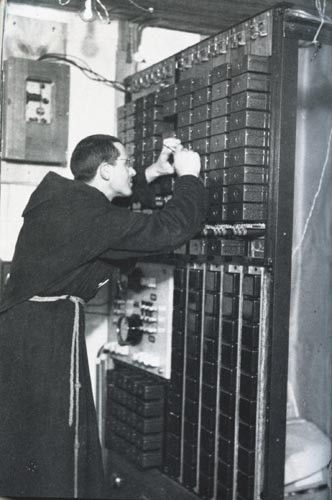 He was born Raymund Kolbe on 8 January 1894 in Zduńska Wola, in the Kingdom of Poland, which was a part of the Russian Empire, the second son of Julius Kolbe and Maria Dabrowska. 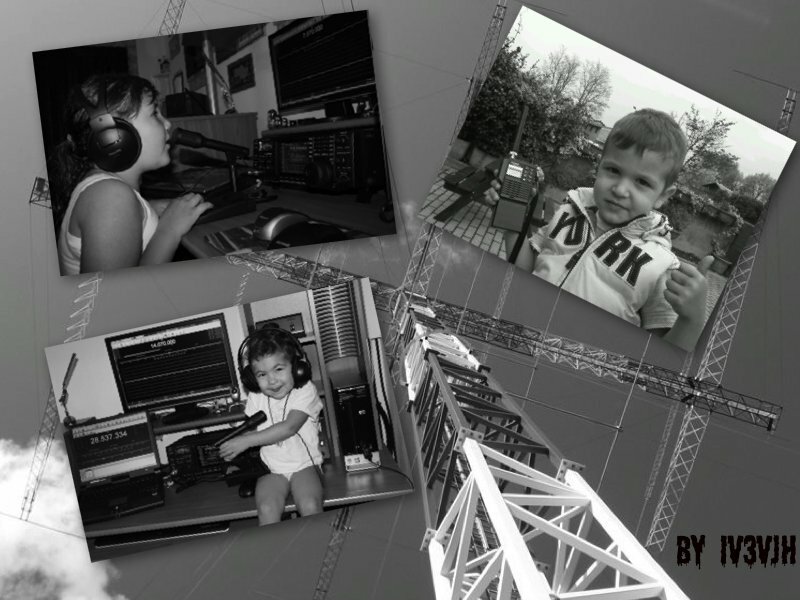 His father was an ethnic German and his mother was Polish. He had four brothers, Francis, Joseph, Walenty (who lived a year) and Andrew (who lived four years). Kolbe’s family moved to Pabianice, where his parents initially worked as basket weavers. Later, his mother worked as a midwife (often donating her services), and operated a shop in part of their rented house, where she sold groceries and household goods. 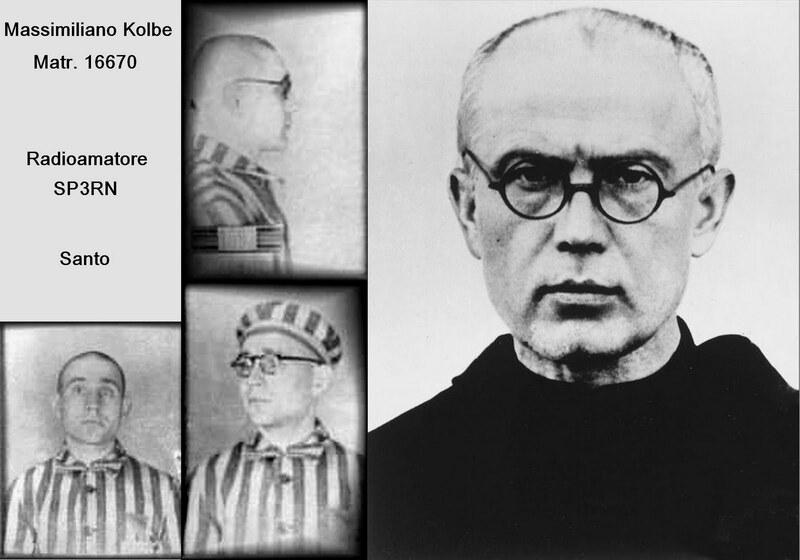 Julius Kolbe worked at the Krushe and Ender Mill and also worked on a parcel of rented land where he grew vegetables. In 1914, Julius joined Józef Piłsudski‘s Polish Legions and was captured by the Russians and hanged for fighting for the independence of a partitioned Poland. That night, I asked the Mother of God what was to become of me, a Child of Faith. Then she came to me holding two crowns, one white, the other red. She asked me if I was willing to accept either of these crowns. The white one meant that I should persevere in purity, and the red that I should become a martyr. I said that I would accept them both.